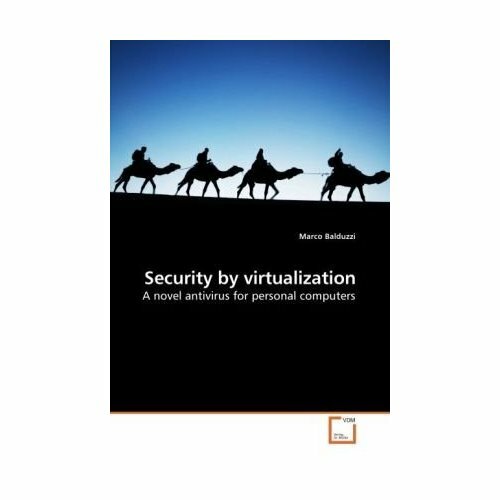 Dr. Marco Balduzzi holds a Ph.D. in applied IT security from Télécom ParisTech and a M.Sc. in computer engineering from the University of Bergamo. His interests concern all aspect of computer security, with particular emphasis on real problems that affect systems and networks. Some topics of interest are web and browser security, vulnerabilities detection, code analysis, cybercrime in general, privacy in social networks, threats related to new technologies, and finally botnets and malware detection. 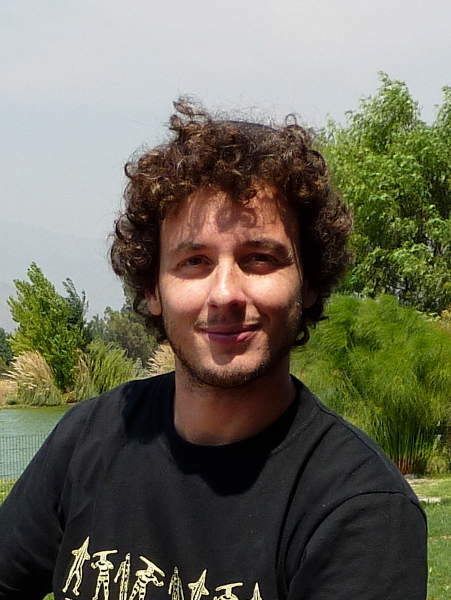 Marco been involved in IT security since 2002 with international experiences in both industry and academia. He previously worked as consultant and engineer for different global companies before joining Trend Micro as senior research scientist. He published in important peer-reviewed academic conferences and gave talks in all the major security conferences in the industry. His work in applied security is often recognized and published by important media world-wide. * You can contact me via email at name.surname<at>this_domain, LinkedIn or Twitter. Our paper titled "A Security Evaluation of Industrial Radio Remote Controllers" has been accepted at DIMVA 2019! Our latest white-paper "A Security Analysis of Radio Remote Controllers for Industrial Applications" is online. We are organizing a new formula of hacking competition called "Capture the Signal" (CTS). Join us in HITB Dubai. I have been asked to serve in the program committee of DIMVA 2019 and of CARDS 2019. Thank you! We have been awarded with a patent plaque! System and method for protecting computer against remote malware downloads. Nov. 2008 - Dec. 2011, Ph.D. at EURECOM & TELECOM ParisTech, under the supervision of Prof. Engin Kirda. In the last twenty years, the Internet has grown from a simple, small network to a complex, large-scale system. Attackers are not indifferent to the evolution of the Internet. Often driven by a flourishing underground economy, attackers are constantly looking for vulnerabilities, misconfigurations and novel techniques to access protected and authorized systems, to steal private information, or to deliver malicious content. Traditional vulnerabilities such as buffer overflows or SQL injections are still exploited. However, new alternative attack vectors that leverage unconventional channels on a large scale (e.g. cloud computing) are also being discovered. To date, not much research has been conducted to measure the importance and extent of these emerging Internet threats. Conventional detection techniques cannot easily scale to large scale installations, and novel methodologies are required to analyze and discover bugs and vulnerabilities in these complex systems. In this thesis, we advance the state of the art in large scale testing and measurement of Internet threats. We research into three novel classes of security problems that affect Internet systems that experienced a fast surge in popularity (i.e., ClickJacking, HTTP Parameter Pollution, and commercial cloud computing services that allow the outsourcing of server infrastructures). We introduce the first, large scale attempt to estimate the prevalence and relevance of these problems on the Internet. Sept.-Dec. 2007, Internship at SAP Research, Security & Trust, Sophia-Antipolis (France). Research in network security aimed at integrating wireless sensor networks (WSNs) in enterprise applications (e.g. SAP). March 2007, M.Sc. in Computer Engineering at the University of Bergamo (Italy). Final grade of 110/110. In this work, we introduce a novel security architecture for personal computers based on the virtualization paradigm, in which we move the security services from the user's operating system into a tamper resistance virtual machine layer, or hypervisor. We propose a novel antivirus that intercepts raw I/O disk-sector accesses to conduct low-level virus analysis. Research and prototype implementation of an antivirus framework in hypervisor. Adopted technology: QEMU, Linux, C++, Bash/Python. 2005, Exchange student at the Norwegian University of Science and Technology (NTNU) of Trondheim, Faculty of Computer Science and Telematics. July 2004, B.Sc. in Computer Engineering at the University of Bergamo. In this thesis, I define and extend the IDS taxonomy with what I called a ``context-based IDS''. The standard taxonomy groups IDSs into host-based and network-based families, depending from the type of information that is processed (host vs network). A context-based IDS, instead, correlates both host-based information and network traffic in order to reduce the amount of false positives, which is among the primary reasons of failure for current network-based IDS. Designed and implemented a router-based intrusion detection system (IDS) that integrates network sensors into existing device nodes, in order to detect DoS attacks, portscans, SPAM and botnets. Adopted technology: Cisco IOS, SNMP, Linux, C.
I work for Trend Micro's forward looking threat research (FTR) team as senior researcher. In my daily job, I try to bridge academia and industry, by keeping one leg into scientific research, publishing in peer-reviewed conferences, and the other into the needs of an industrial-driven environment, for example advising on internal innovative engineering projects. The team itself is responsible for researching malware and hacking threats, security of emerging technologies and user privacy, and designing solution to detect and mitigate them. We actively interface with universities, external research groups, law enforcement and CERTs for research and knowledge sharing, and we regularly attend both academic and hacking security conferences. 2011, Occasional Journal Writer for the Software Press's Hakin9 IT Security Megazine. 2008, Senior Security Engineer at Numara Software (ex Criston Software S.A.), Sophia-Antipolis (France). As security expert, I was responsible of researching, implementing and supporting the development of the a Vulnerability Management solution. I held the research and development of the security scanner and its vulnerability tests. During my stay, I replaced a strong portion of the existing code with the NMap Security Scanner solution that we licensed and adopted. Aug.2006 - July.2007, Security Researcher at Secunet Security Networks AG, Munich (Germany), largest information security service provider in Germany. Research and prototype implementation of a novel antivirus integrated within the VM framework (hypervisor), in order to make it resistant to traditional malware. More information are included in my M.Sc. thesis above. 2006, Security Consultant (freelancer) for Emaze Network S.p.A., Italian company that provides services and products in the Information Security field. Traditional security consulting services like: penetration testing, vulnerability assessment, computer forensics, system hardening, network and log analysis, architecture designing, compliance, training. 2004 - 2005, Security Consultant (freelancer) for Secure Network s.r.l., Information Security consultant group in Milan. "A Security Evaluation of Industrial Radio Remote Controllers"
[ abstract, pdf ] Heavy industrial machinery is a primary asset for the operation of key sectors such as construction, manufacturing, and logistics. Targeted attacks against these assets could result in incidents, fatal injuries, and substantial financial loss. Given the importance of such scenarios, we analyzed and evaluated the security implications of the technology used to operate and control this machinery, namely industrial radio remote controllers. We conducted the first-ever security analysis of this technology, which relies on proprietary radio-frequency protocols toloca implement remote-control functionalities. Through a two-phase evaluation approach we discovered important flaws in the design and implementation of industrial remote controllers. In this paper we introduce and describe 5 practical attacks affecting major vendors and multiple real-world installations. We conclude by discussing how a challenging responsible disclosure process resulted in first-ever security patches and improved security awareness. "Investigating Web Defacement Campaigns at Large"
[ abstract, pdf, bib ] Website defacement is the practice of altering the web pages of a website after its compromise. The altered pages, called deface pages, can negatively affect the reputation and business of the victim site. Previous research has focused primarily on detection, rather than exploring the defacement phenomenon in depth. While investigating several defacements, we observed that the artifacts left by the defacers allow an expert analyst to investigate the actors' modus operandi and social structure, and expand from the single deface page to a group of related defacements (i.e., a campaign). However, manually performing such analysis on millions of incidents is tedious, and poses scalability challenges. From these observations, we propose an automated approach that efficiently builds intelligence information out of raw deface pages. Our approach streamlines the analysts job by automatically recognizing defacement campaigns, and assigning meaningful textual labels to them. Applied to a com- prehensive dataset of 13 million defacement records, from Jan. 1998 to Sep. 2016, our approach allowed us to conduct the first large-scale measurement on web defacement campaigns. In addition, our approach is meant to be adopted operationally by analysts to identify live campaigns in the real world. We go beyond confirming anecdotal evidence. We analyze the social structure of modern defacers, which includes lone individuals as well as actors that cooperate with each others, or with teams, which evolve over time and dominate the scene. We conclude by drawing a parallel between the time line of World-shaping events and defacement campaigns, representing the evolution of the interests and orientation of modern defacers. "Exploring the Long Tail of (Malicious) Software Downloads"
[ abstract, pdf, bib ] In this paper, we present a large-scale study of global trends in software download events, with an analysis of both benign and malicious downloads, and a categorization of events for which no ground truth is currently available. Our measurement study is based on a unique, real-world dataset collected at Trend Micro containing more than 3 million in-the-wild web-based software download events involving hundreds of thousands of Internet machines, collected over a period of seven months. Somewhat surprisingly, we found that despite our best efforts and the use of multiple sources of ground truth, more than 83% of all downloaded software files remain unknown, i.e. cannot be classified as benign or malicious, even two years after they were first observed. If we consider the number of machines that have downloaded at least one unknown file, we find that more than 69% of the entire machine/user population downloaded one or more unknown software file. Because the accuracy of malware detection systems reported in the academic literature is typically assessed only over software files that can be labeled, our findings raise concerns on their actual effectiveness in large-scale real-world deployments, and on their ability to defend the majority of Internet machines from infection. To better understand what these unknown software files may be, we perform a detailed analysis of their properties. We then explore whether it is possible to extend the labeling of software downloads by building a rule-based system that automatically learns from the available ground truth and can be used to identify many more benign and malicious files with very high confidence. This allows us to greatly expand the number of software files that can be labeled with high confidence, thus providing results that can benefit the evaluation of future malware detection systems. [ abstract, pdf, bib ] The Dark Web is known as the part of the Internet operated by decentralized and anonymous-preserving protocols like Tor. To date, the research community has focused on understanding the size and characteristics of the Dark Web and the services and goods that are offered in its underground markets. However, little is still known about the attacks landscape in the Dark Web. For the traditional Web, it is now well understood how websites are exploited, as well as the important role played by Google Dorks and automated attack bots to form some sort of "background attack noise" to which public websites are exposed. This paper tries to understand if these basic concepts and components have a parallel in the Dark Web. In particular, by deploying a high interaction honeypot in the Tor network for a period of seven months, we conducted a measurement study of the type of attacks and of the attackers behavior that affect this still relatively unknown corner of the Web. "Real-Time Detection of Malware Downloads via Large-Scale URL->File->Machine Graph Mining"
[ abstract, pdf, bib, slides ] In this paper we propose Mastino, a novel defense system to detect malware download events. A download event is a 3-tuple that identifies the action of downloading a file from a URL that was triggered by a client (machine). Mastino utilizes global situation awareness and continuously monitors various network- and system-level events of the clients' machines across the Internet and provides real time classification of both files and URLs to the clients upon submission of a new, unknown file or URL to the system. To enable detection of the download events, Mastino builds a large download graph that captures the subtle relationships among the entities of download events, i.e. files, URLs, and machines. We implemented a prototype version of Mastino and evaluated it in a large-scale real-world deployment. Our experimental evaluation shows that Mastino can accurately classify malware download events with an average of 95.5% true positive (TP), while incurring less than 0.5% false positives (FP). In addition, we show the Mastino can classify a new download event as either benign or malware in just a fraction of a second, and is therefore suitable as a real time defense system. "MobiPot: Understanding Mobile Telephony Threats with Honeycards"
[ abstract, pdf bib ] Over the past decade, the number of mobile phones has increased dramatically, overtaking the world population in October 2014. In developing countries like India and China, mobile subscribers outnumber traditional landline users and account for over 90% of the active population. At the same time, convergence of telephony with the Internet with technologies like VoIP makes it possible to reach a large number of telephone users at a low or no cost via voice calls or SMS (short message service) messages. As a consequence, cybercriminals are abusing the telephony channel to launch attacks, e.g., scams that offer fraudulent services and voice-based phishing or vishing, that have previously relied on the Internet. In this paper, we introduce and deploy the first mobile phone honeypot called MobiPot that allow us to collect fraudulent calls and SMS messages. We implement multiple ways of advertising mobile numbers (honeycards) on MobiPot to investigate how fraudsters collect phone numbers that are targeted by them. During a period of over seven months, MobiPot collected over two thousand voice calls and SMS messages, and we confirmed that over half of them were unsolicited. We found that seeding honeycards enables us to discover attacks on the mobile phone numbers which were not known before. "Automatic Extraction of Indicators of Compromise for Web Application"
[ abstract, pdf, bib, slides ] Indicators of Compromise (IOCs) are forensic artifacts that are used as signs that a system has been compromised by an attack or that it has been infected with a particular malicious software. In this paper we propose for the first time an automated technique to extract and validate IOCs for web applications, by analyzing the information collected by a high-interaction honeypot. Our approach has several advantages compared with traditional techniques used to detect malicious websites. First of all, not all the compromised web pages are malicious or harmful for the user. Some may be defaced to advertise product or services, and some may be part of affiliate programs to redirect users toward (more or less legitimate) online shopping websites. In any case, it is important to detect these pages to inform their owners and to alert the users on the fact that the content of the page has been compromised and cannot be trusted. Also in the case of more traditional drive-by-download pages, the use of IOCs allows for a prompt detection and correlation of infected pages, even before they may be blocked by more traditional URLs blacklists. Our experiments show that our system is able to automatically generate web indicators of compromise that have been used by attackers for several months (and sometimes years) in the wild without being detected. So far, these apparently harmless scripts were able to stay under the radar of the existing detection methodologies -- despite being hosted for a long time on public web sites. 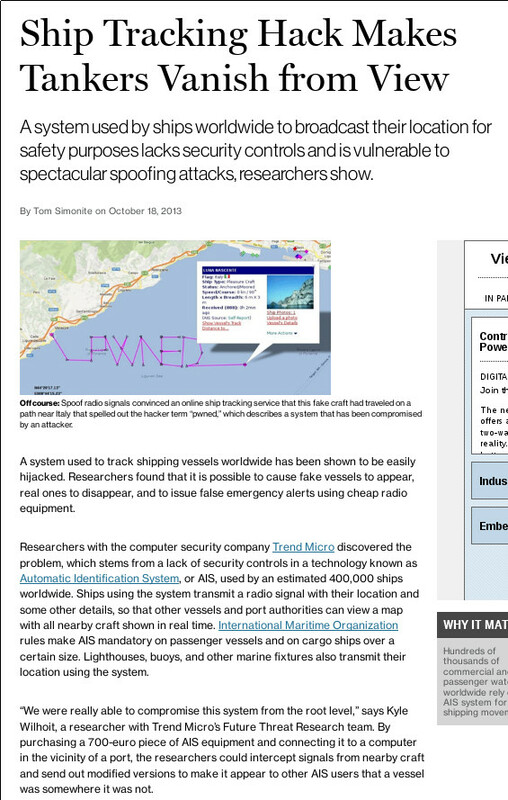 "A Security Evaluation of AIS, Automated Identification System"
[ abstract, pdf, bib, slides, sourcecode ] AIS, Automatic Identification System, is an application of cyber-physical systems (CPS) to smart transportation at sea. Being primarily used for collision avoidance and traffic monitoring by ship captains and maritime authorities, AIS is a mandatory installation for over 300,000 vessels worldwide since 2002. Other promoted benefits are accident investigation, aids to navigation and search and rescue (SAR) operations. In this paper, we present a unique security evaluation of AIS, by introducing threats affecting both the implementation in online providers and the protocol specification. Using a novel software-based AIS transmitter that we designed, we show that our findings affect all transponders deployed globally on vessels and other maritime stations like lighthouses, buoys, AIS gateways, vessel traffic services and aircraft involved in SAR operations. Our concerns have been acknowledged by online providers and inter- national standards organizations, and we are currently and actively working together to improve the overall security. [ abstract, pdf, bib, slides ] In this paper we present soundsquatting, a previously unreported type of domain squatting which we uncovered during analysis of cybersquatting domains. In soundsquatting, an attacker takes advantage of homophones, i.e., words that sound alike, and registers homophone-including variants of popular domain names. We explain why soundsquatting is different from existing domain-squatting attacks, and describe a tool for the automatic generation of soundsquatting domains. Using our tool, we discover that attackers are already aware of the principles of soundsquatting and are monetizing them in various unethical and illegal ways. In addition, we register our own soundsquatting domains and study the population of users who reach our monitors, recording a monthly average of more than 1,700 non-bot page requests. Lastly, we show how sound-dependent users are particularly vulnerable to soundsquatting through the abuse of text-to-speech software. 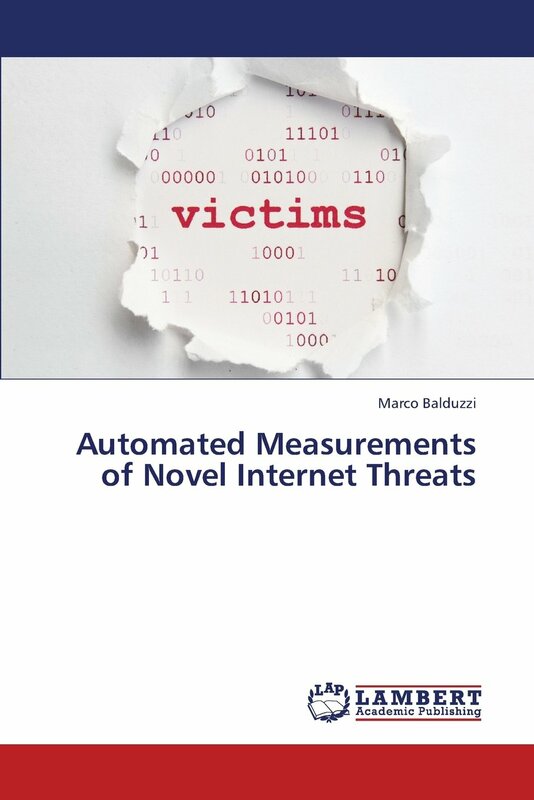 "Automated Measurements of Novel Internet Threats [Paperback]"
[ description, book, bib, cover ] In the last twenty years, the Internet has grown from a simple, small network to a complex, large-scale system. While it was originally used to offer static content that was organized around simple websites, today, it provides both content and services (e.g. chat, e-mail, web) as well as the outsourcing of computation and applications (e.g. cloud computing). Attackers are not indifferent to this evolution. Often driven by a flourishing underground economy, attackers are constantly looking for vulnerabilities, misconfigurations and novel techniques to access protected and authorized systems, to steal private information, or to deliver malicious content. In this thesis, we advance the state of the art in large scale testing and measurement of Internet threats. We research into three novel classes of security problems that affect Internet systems that experienced a fast surge in popularity (i.e., ClickJacking, HTTP Parameter Pollution, and commercial cloud computing services that allow the outsourcing of server infrastructures). We introduce the first, large scale attempt to estimate the prevalence and relevance of these problems on the Internet. "Targeted Attacks Detection With SPuNge"
[ abstract, pdf, bib ] Over the past several years there has been a noticeable rise in the number of reported targeted attacks, which are also commonly referred to as advanced persistent threats (APTs). This is seen by security experts as a landscape shift from a world dominated by widespread malware that infect indiscriminately, to a more selectively targeted approach with higher gain. One thing that is clear about targeted attacks is that they are difficult to detect, and not much research has been conducted so far in detecting these attacks. In this paper, we propose a novel system called SPuNge that processes threat information collected on the users' side to detect potential targeted attacks for further investigation. We use a combination of clustering and correlation techniques to identify groups of machines that share a similar behavior with respect to the malicious resources they access and the industry in which they operate (e.g., oil & gas). We evaluated our system against real data collected by an antivirus vendor from over 20 million customers installations worldwide. Our results show that our approach works well in practice and is helpful in assisting security analysts in cybercrime investigations. "The Role of Phone Numbers in Understanding Cyber-Crime Schemes"
[ abstract, pdf, bib ] Internet and telephones are part of everyone’s modern life. Unfortunately, several criminal activities also rely on these technologies to reach their victims. While the use and importance of the Internet has been largely studied, previous work overlooked the role that phone numbers can play in understanding online threats. In this work we aim at determining if leveraging phone numbers analysis can improve our understanding of the un- derground markets, illegal computer activities, or cyber-crime in general. This knowledge could then be adopted by several defensive mechanisms, including blacklists or advanced spam heuristics. Our results show that, in scam activities, phone numbers remain often more stable over time than email addresses. Using a combination of graph analysis and geographical Home Location Register (HLR) lookups, we identify recurrent cyber-criminal business models and link together scam communities that spread over different countries. "The role of phone numbers in understanding cyber-crime (technical report)"
[ abstract, pdf, bib ] Internet and telephones are part of everyone's modern life. Unfortunately, also several criminal activities rely on these technologies to reach their victims. While the use and importance of the network has been largely studied, previous work overlooked the role that phone numbers can play into understanding online threats. In this work we aim at determining if leveraging phone numbers analysis can improve our understanding of the underground markets, illegal computer activities, or cyber-crime in general. This knowledge could then be adopted by several defensive mechanisms, including blacklists or advanced spam heuristics. In our study we collected phone numbers from various public or private sources and we designed a framework for mining, analyzing, enriching and, finally, correlating phone numbers to malicious activities. Our results show that, in scam activities, phones numbers remain often more stable over time than email addresses. Finally, using a combination of graph analysis and geographical HLR lookup, we were able to identify recurrent cyber-criminal business models and to link together scam communities that spread over different countries. "Web Application Security, Dagstuhl Seminar 12401 (conference report)"
"A Security Analysis of Amazon's Elastic Compute Cloud Service"
[ abstract, pdf, bib, press (forbes| infoWorld| ZDNet) ] Cloud services such as Amazon's Elastic Compute Cloud and IBM's SmartCloud are quickly changing the way organizations are dealing with IT infrastructures and are providing online services. Today, if an organization needs computing power, it can simply buy it online by instantiating a virtual server image on the cloud. Servers can be quickly launched and shut down via application programming interfaces, offering the user a greater flexibility compared to traditional server rooms. A popular approach in cloud-based services is to allow users to create and share virtual images with other users. In addition to these user-shared images, the cloud providers also often provide virtual images that have been pre-configured with popular software such as open source databases and web servers. This paper explores the general security risks associated with using virtual server images from the public catalogs of cloud service providers. In particular, we investigate in detail the security problems of public images that are available on the Amazon EC2 service. We describe the design and implementation of an automated system that we used to instantiate and analyze the security of public AMIs on the Amazon EC2 platform, and provide detailed descriptions of the security tests that we performed on each image. Our findings demonstrate that both the users and the providers of public AMIs may be vulnerable to security risks such as unauthorized access, malware infections, and loss of sensitive information. The Amazon Web Services Security Team has acknowledged our findings, and has already taken steps to properly address all the security risks we present in this paper. "Reverse Social Engineering Attacks in Online Social Networks"
[ abstract, pdf, bib, slides ] Social networks are some of the largest and fastest growing online services today. Facebook, for example, has been ranked as the second most visited site on the Internet, and has been reporting growth rates as high as 3% per week. One of the key features of social networks is the support they provide for finding new friends. For example, social network sites may try to automatically identify which users know each other in order to propose friendship recommendations. Clearly, most social network sites are critical with respect to user's security and privacy due to the large amount of information available on them, as well as their very large user base. Previous research has shown that users of online social networks tend to exhibit a higher degree of trust in friend requests and messages sent by other users. Even though the problem of unsolicited messages in social networks (i.e., spam) has already been studied in detail, to date, reverse social engineering attacks in social networks have not received any attention. In a reverse social engineering attack, the attacker does not initiate contact with the victim. Rather, the victim is tricked into contacting the attacker herself. As a result, a high degree of trust is established between the victim and the attacker as the victim is the entity that established the relationship. In this paper, we present the first user study on reverse social engineering attacks in social networks. That is, we discuss and show how attackers, in practice, can abuse some of the friend-finding features that online social networks provide with the aim of launching reverse social engineering attacks. Our results demonstrate that reverse social engineering attacks are feasible and effective in practice. "Exposing the Lack of Privacy in File Hosting Services"
[ abstract, pdf, bib, slides, press (the register| slashdot) ] File hosting services (FHSs) are used daily by thousands of people as a way of storing and sharing files. These services normally rely on a security-through-obscurity approach to enforce access control: For each uploaded file, the user is given a secret URI that she can share with other users of her choice. In this paper, we present a study of 100 file hosting services and we show that a significant percentage of them generate secret URIs in a predictable fashion, allowing attackers to enumerate their services and access their file list. Our experiments demonstrate how an attacker can access hundreds of thousands of files in a short period of time, and how this poses a very big risk for the privacy of FHS users. Using a novel approach, we also demonstrate that attackers are aware of these vulnerabilities and are already exploiting them to get access to other users' files. Finally we present SecureFS, a client-side protection mechanism which can protect a user's files when uploaded to insecure FHSs, even if the files end up in the possession of attackers. [ abstract, pdf, bib ] In the last twenty years, web applications have grown from simple, static pages to complex, full-fledged dynamic applications. Typically, these applications are built using heterogeneous technologies and consist of code that runs both on the client and on the server. Even simple web applications today may accept and process hundreds of different HTTP parameters to be able to provide users with interactive services. While injection vulnerabilities such as SQL injection and cross-site scripting are well-known and have been intensively studied by the research community, a new class of injection vulnerabilities called HTTP Parameter Pollution (HPP) has not received as much attention. If a web application does not properly sanitize the user input for parameter delimiters, exploiting an HPP vulnerability, an attacker can compromise the logic of the application to perform either client-side or server-side attacks. In this paper, we present the first automated approach for the discovery of HTTP Parameter Pollution vulnerabilities in web applications. Using our prototype implementation called PAPAS (PArameter Pollution Analysis System), we conducted a large-scale analysis of more than 5,000 popular websites. Our experimental results show that about 30% of the websites that we analyzed contain vulnerable parameters and that 46.8% of the vulnerabilities we discovered (i.e., 14% of the total websites) can be exploited via HPP attacks. The fact that PAPAS was able to find vulnerabilities in many high-profile, well-known websites suggests that many developers are not aware of the HPP problem. We informed a number of major websites about the vulnerabilities we identified, and our findings were confirmed. "EXPOSURE: Finding Malicious Domains Using Passive DNS Analysis"
[ abstract, pdf, bib, slides ] The domain name service (DNS) plays an important role in the operation of the Internet, providing a two-way mapping between domain names and their numerical identifiers. Given its fundamental role, it is not surprising that a wide variety of malicious activities involve the domain name service in one way or another. For example, bots resolve DNS names to locate their command and control servers, and spam mails contain URLs that link to domains that resolve to scam servers. Thus, it seems beneficial to monitor the use of the DNS system for signs that indicate that a certain name is used as part of a malicious operation. In this paper, we introduce EXPOSURE, a system that employs large-scale, passive DNS analysis techniques to detect domains that are involved in malicious activity. We use 15 features that we extract from the DNS traffic that allow us to characterize different properties of DNS names and the ways that they are queried. Our experiments with a large, real-world data set consisting of 100 billion DNS requests, and a real-life deployment for two weeks in an ISP show that our approach is scalable and that we are able to automatically identify unknown malicious domains that are misused in a variety of malicious activity (such as for botnet command and control, spamming, and phishing). "A Summary of Two Practical Attacks against Social Networks (invited paper)"
[ abstract, bib ] Social networking sites have been increasingly gaining popularity, and they have already changed the communication habits of hundred of millions of users. Unfortunately, this new technology can easily be misused to collect private information and violate the users’ privacy. In this chapter, we summarize two practical attacks we have presented in the past: an impersonation attack in which we automatically clone a user profile, and an attack that abuses the information provided by social networks to automatically correlate information extracted from different social networks. Our results show that these attacks are very successful in practice and that they can significantly impact the users’ privacy. Therefore, these attacks represent a first important step to raise awareness among users about the privacy and security risks involved in sharing information in one or more social networks. "Abusing Social Networks for Automated User Profiling"
[ abstract, pdf, bib, slideshare ] Recently, social networks such as Facebook have experienced a huge surge in popularity. The amount of personal information stored on these sites calls for appropriate security precautions to protect this data. In this paper, we describe how we are able to take advantage of a common weakness, namely the fact that an attacker can query popular social networks for registered e-mail addresses on a large scale. Starting with a list of about 10.4 million email addresses, we were able to automatically identify more than 1.2 million user profiles associated with these addresses. By automatically crawling and correlating these profiles, we collect detailed personal information about each user, which we use for automated profiling (i.e., to enrich the information available from each user). Having access to such information would allow an attacker to launch sophisticated, targeted attacks, or to improve the efficiency of spam campaigns. We have contacted the most popular providers, who acknowledged the threat and are currently implementing our proposed countermeasures. Facebook and XING, in particular, have recently fixed the problem. "Security by virtualization: A novel antivirus for personal computers [Paperback]"
[ description, book, bib, cover ] A sort of virtualization appeared four decades ago to perform multi-programming and simple time-sharing tasks inside a single mainframe. Virtualization became quickly the solution to limit cost and save money by server consolidation. Nowadays virtualization is a "hot topic" and it is habitually adopted in develop environments for testing and debugging purposes. This book presents a novel paradigm to secure personal computers. Virtualization is used to isolate the user system within a so-called security shell where multiple security services are configured to ensure the tamper resistance of the user's environment. While conventional personal antivirus can be switched off, manipulated, or avoided by sophisticated malignant codes and technically experienced users, this antivirus enforces a continuous protection of the user's environment from the security shell. The accesses to the file-system are real-time scanned and mobile/encrypted network connections are inspected. The whole system is finally protected by an encryption layer that inconspicuously encrypts the user system. "Take a Deep Breath: a Stealthy, Resilient and Cost-Effective Botnet Using Skype"
[ abstract, pdf, bib, slides ] Skype is one of the most used P2P applications on the Internet: VoIP calls, instant messaging, SMS and other features are provided at a low cost to millions of users. Although Skype is a closed source application, an API allows developers to build custom plugins which interact over the Skype network, taking advantage of its reliability and capability to easily bypass firewalls and NAT devices. Since the protocol is completely undocumented, Skype traffic is particularly hard to analyze and to reverse engineer. We propose a novel botnet model that exploits an overlay network such as Skype to build a parasitic overlay, making it extremely difficult to track the botmaster and disrupt the botnet without damaging legitimate Skype users. While Skype is particularly valid for this purpose due to its abundance of features and its widespread installed base, our model is generically applicable to distributed applications that employ overlay networks to send direct messages between nodes (e.g., peer-to-peer software with messaging capabilities). We are convinced that similar botnet models are likely to appear into the wild in the near future and that the threats they pose should not be underestimated. Our contribution strives to provide the tools to correctly evaluate and understand the possible evolution and deployment of this phenomenon. "A Solution for the Automated Detection of Clickjacking Attacks"
[ abstract, pdf, bib ] Clickjacking is a web-based attack that has recently received a wide media coverage. In a clickjacking attack, a malicious page is constructed such that it tricks victims into clicking on an element of a different page that is only barely (or not at all) visible. By stealing the victim's clicks, an attacker could force the user to perform an unintended action that is advantageous for the attacker (e.g., initiate an online money transaction). Although clickjacking has been the subject of many discussions and alarming reports, it is currently unclear to what extent clickjacking is being used by attackers in the wild, and how significant the attack is for the security of Internet users. In this paper, we propose a novel solution for the automated and efficient detection of clickjacking attacks. We describe the system that we designed, implemented and deployed to analyze over a million unique web pages. The experiments show that our approach is feasible in practice. Also, the empirical study that we conducted on a large number of popular websites suggests that clickjacking has not yet been largely adopted by attackers on the Internet. 2013, Maurizio Abba', Web Security -- now with LastLine Inc.
2011, Dario Ghilardi, Web Security (static analysis techniques) -- now with WebRain Inc.
Maintainer of AIS BlackToolkit. A research-oriented framework for using GnuRadio with AIS. Hakin9 Issue 7/2011 on Web App Security, HTTP Parameter Pollution Vulnerabilities in Web Applications [ download ] Is your web application protected against HTTP Parameter Pollution? A new class of injection vulnerabilities allows attackers to compromise the logic of the application to perform client and server-side attacks. HPP can be detected and avoided. But how? This article discusses why and how applications may be vulnerable to HTTP Parameter Pollution. By analyzing different attacking scenarios, The authors of this article introduce the HPP problem. They describe PAPAS, the system for the detection of HPP flaws, and conclude by giving the different countermeasures that conscious web designers may adopt to deal with this novel class of injection vulnerabilities. Hakin9 Issue Exploiting Software 1/2011, Smashing the Stack 1 [ download ] For decades hackers have discovered and exploited the most concealed programming bugs. But how is it possible to leverage a buffer overflow to compromise software in modern operating systems? Mariano and Marco will introduce us to the basic principles of code exploitation. We will see what happens when a process is executed or terminated, and how a buffer overflow vulnerability can be leveraged to execute malicious code. Hakin9 Issue Exploiting Software 2/2011, Smashing the Stack 2 [ download ] Modern operating systems come with sophisticated protection mechanisms to prevent one-click exploitations. But, how can attackers bypass such techniques to compromise remote machines all over the world? And downloading PDF documents is always a safe practice? Mariano and Marco will describe the different protection mechanisms that have been introduced in modern operating system to make exploitation more difficult. They will aslo present several popular workarounds used by attacker to bypass such techniques. Finally, they will analyze a real exploit for a Acrobat Reader’s stack-based buffer overflow. IPGenerator An ip-listgenerator (/16 netmask) and an ip-parser for nmap -oG output. The MCL suite: scanner, parser,translator to C-language and complier MCL language has been developed for the university project of "languages and compiler" (and the "M" stands for the initials of its developers!). MCL is a compact and syntactically clean language, for writing math expressions and procedures in simple and fast way. It supports functions, the while iteration, the if test, global and local variables, input and output, comments and other crazy features :-). The package contains a reference paper (in Italian), the parser (mcl.l) and the scanner (mcl.y), the scripts to build the translator to C-language and the compiler. Linux VNC-4.1.1 evil client patch - BID 17978 Patch to exploit the VNC vulnerability 17978, which permits to log into the server with NULL authentication, although the password is required. Read my buqtraq post. 2600 The Hacker Quarterly: huge American Hacker movement. Chaos Computer Club: famous German Hacker group that organizes periodically international meetings. Phrack.org: a Hacker magazine by the community, for the community. THC The Hacker's Choice: international group of experts that acts in the Information Security from 1995. Softproject: Italian no-profit association involved in the Information Security. It publishes the BFi magazine. BugTraq: full disclosure moderated mailing list for the detailed discussion and announcement of computer security vulnerabilities: what they are, how to exploit them, and how to fix them. Packet Storm: no-profit organization comprised of security professionals that offers an abundant resource of up-to-date and historical security tools, exploits, and advisories. 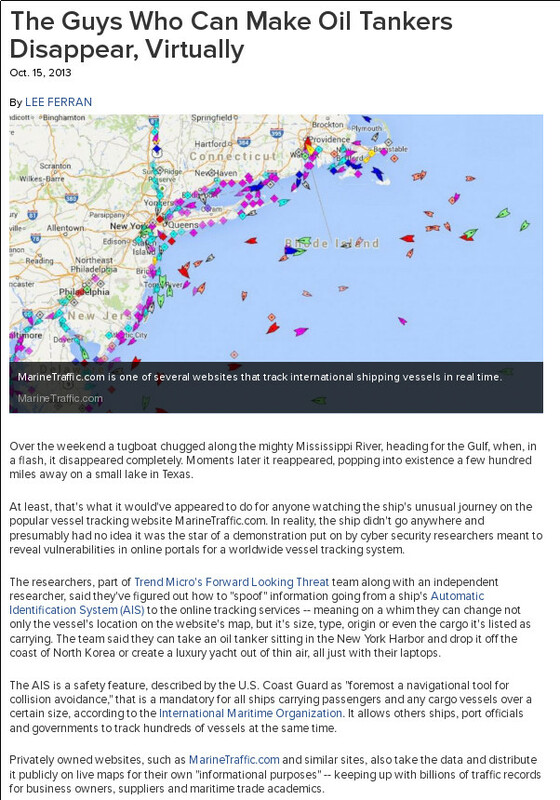 Security Focus: international website that offers a huge database of advisories and exploits. Linux (the kernel! ): the Linux Kernel. Linux kernel mailing lists: many public mailing lists for linux kernel developers.